I grew up in a little town called Qualicum Beach on Vancouver Island, BC. Although I have been a city girl for a very long time now and absolutely love living in Vancouver, a little piece of my heart will always be on the Island. Which is why I love having Salon D in Nanaimo carrying PKK Design. De Orrell owns Salon D. I met De's husband Darren, a very cool tattoo artist and body piercer at a jewelry trade show in the summer. He bought one of my favourite necklaces ever, pictured on De above, to give to De. 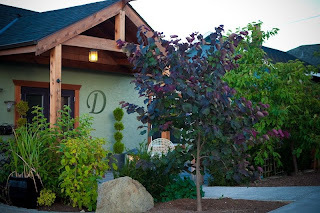 I later got the opportunity to go over to Nanaimo and meet the lovely De and see her beautiful salon, that she has literally started from scratch. 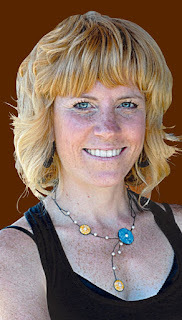 She found an old run down house in downtown Nanaimo and turned it into a high end, modern, and stylish Salon. 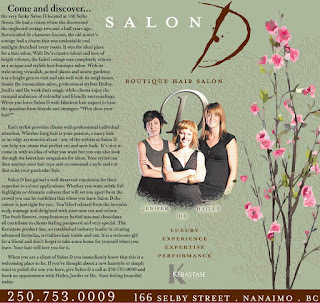 This article on Salon D is courtesy of the Nanaimo Daily News.